There are few times in our lives and careers when a communications campaign can significantly change the face of history, of the world, and the fate of our collective future. We all know that Climate Change is real, and it’s clear that action needs to happen fast. What gives me hope is to know that our industry is behind this movement, and is one of the driving forces to help ensure change does happen. WPP has been working closely with Al Gore on a Climate Change brief since October last year and our very good friends Jon Steel, Group Planning Director at WPP, and Melissa Parsey, Group Planning Director at JWT New York and TIE Alumni, have been in the thick of developing the strategy with the former U.S. Vice President and creating the work. We have been fascinated with the development of the campaign, and thought you would be too. Keep reading to hear Melissa’s behind-the-scenes take on the campaign development, an insight to the thinking and what she and the team hope to achieve. Just under a year ago I finished my TIE placement with Espaço da Criança, in Recife. It was a whirlwind of a month that disappeared in the blink of an eye, but left an indelible impression on me. I gained a new Brazilian family, a love of tapioca and a whole new perspective on what our industry is capable of. It was somewhat serendipitous that this was around the time I received a curious email from Jon Steel, my mentor at WPP and group Planning Director entitled, “Big Question”. 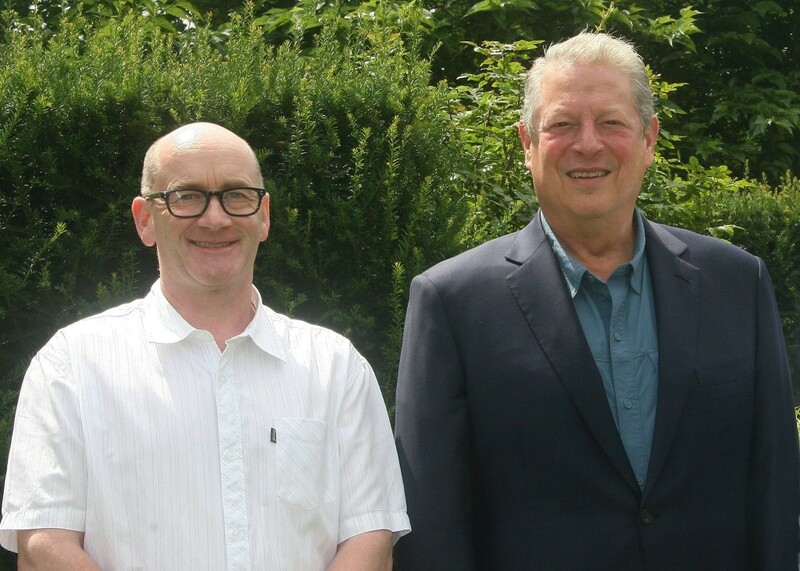 A conversation had been initiated with Al Gore, former Vice-President and Nobel Peace Prize winner, about the issue of climate change. Jon asked whether I would be interested in joining him to receive a brief from Al Gore on arguably the most important issue of our time. He wasn’t over exaggerating in the subject-header. As Al Gore said in our first meeting, “We are entering a period of consequences, and have a moral duty to act now”. From super storms, droughts, wildfires, record highs and lows – the effects of climate change are ever-present and increasingly difficult to ignore. Mother Nature is persuasive: public consensus, and 99% of the scientific community have accepted climate change exists. This is not however reflected in national policy and action on the issue. We don’t just need new light bulbs; we need new laws. Working with an eclectic, passionate, multi-disciplinary team, across agencies and geographies within WPP we have spent the past nine months plotting a campaign, in association with the Climate Reality Project – a non-profit organization involved in education and advocacy related to climate change, founded by Al Gore. Our ambition is to help push for meaningful commitments to climate solutions by world leaders, as part of the ongoing UN process. We wanted to help communicate that not only are the effects of climate change felt now, around the world, we need to create a sense of urgency that action is needed. There are solutions available to adapt and mitigate for climate change. Renewable energies are cheaper, cleaner and economically viable. There’s simply no rational reason to continue on the path we’re on, but we needed a messaging framework that was simple, and relatable to everyone, in every language to articulate this. Our campaign launched on August 14th, in Australia, Brazil, Canada, China, India, Philippines, South Africa and the USA. 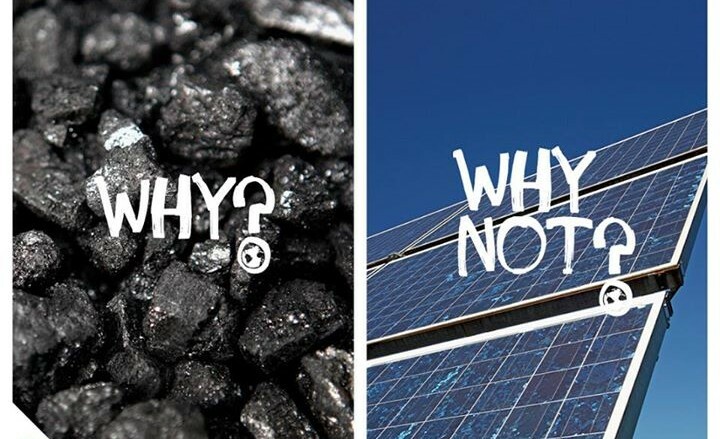 It urges people to ask their leaders two important questions to make a positive difference for the future of the planet: “Why?” and“Why Not?” Simple, honest, powerful questions that first challenge the status quo, and then posit what could be. In the first phase of the campaign we have invited children from around the world to represent their generation by posing questions to their leaders in videos. The best six submissions will be flown to New York to attend the climate summit on the 23rd September and be part of a multimedia presentation to world leaders calling for action and ambition on climate change. The campaign will continue to build momentum leading up to the United Nations Framework Convention on Climate Change’s 21st Conference of the Parties in Paris in December 2015, with the aim of creating overwhelming public support for a global agreement on greenhouse gas reductions and climate action. My experience on TIE helped prepare me for this brief by demonstrating how even on a small scale, communications can be a powerful advocate in driving change and that it’s our responsibility to help create value for our communities through what we do best. I’m incredibly fortunate to have been given this opportunity by WPP and to work with others who share this perspective. We’ve just begun our journey and hope that others can support us as we look ahead to December 2015. It’s time to demand action on climate change and to realize the value of what we can achieve together as an industry. * If you know any 13 to 21 year-olds who care about climate change and would like to talk directly to the world’s leaders at the UN Climate Change Summit, ask them to submit a video at askwhywhynot.org. The deadline is September 8th. Click the image above to learn more on how to get involved.